The nutrition solution. Dyna-Gro Grow (7-9-5) is an all-purpose liquid plant food specially formulated to supply all of the essential nutrients in one easy to use concentrate. Can be used to promote both foliage and blooms. 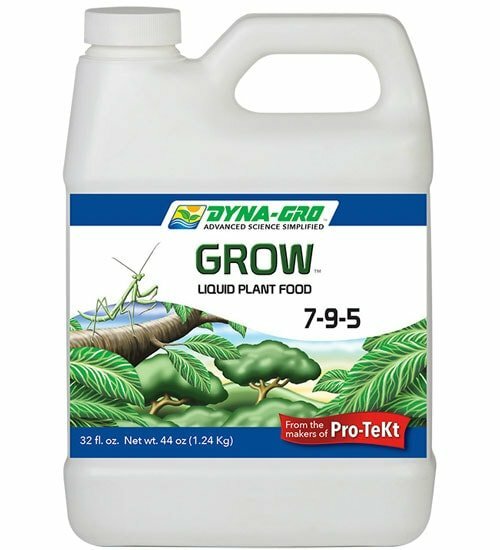 Dyna-Gro is ideal for container grown plants and hydroponics. The low soluble salts and slightly higher phosphorus make this a great all-year African violet or orchid formula for those who don’t want to switch formulas to promote flowering. Maintenance: Indoor plants mix 1/4 to 1/2 tsp. to each gallon of water every time you water. 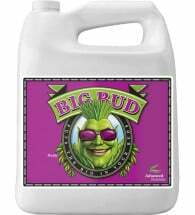 For outdoor plants use 1/2 tsp. every watering. If feeding once or twice per month use 1 tsp. per gallon for up to 4 tsp. per month. Note: 1/2 tsp. per gallon = 1:1500 ratio. 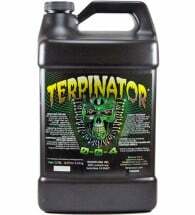 To Correct Mineral Deficiencies: For root bound or deficient plants, use 1 tsp. per gallon of water for the first 2 or 3 waterings. Hydroponics: Mix 2-3 tsp. 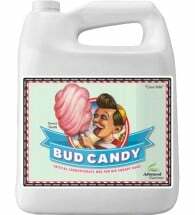 per gallon of water for recirculating systems or 1 tsp. per gallon for bag culture. Siphon Mixer: (1:15 ratio) Mix 1-3 fl. oz. per gallon of water for a concentrate feed solution. Irrigation Injector: (1:100 ratio) Mix 10-18 fl. oz. per gallon of water to make an injectable concentrate. Note: Final fertilizer concentration will be 100 ppm of nitrogen at 20 oz. per gallon of stock solution. 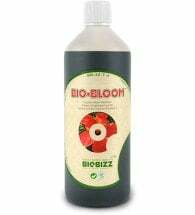 Foliar Spray: Revitalize mineral deficient plants by mixing 1/4 to 1/2 tsp. per gallon of water and spraying directly on leaves. Spray with fresh water the next day to remove mineral residue. Ingredients: Ammonium nitrate, calcium nitrate, potassium nitrate, mono-ammonium phosphate, mono-potassium phosphate, cobaltous sulfate, magnesium sulfate, boric acid, molybdic acid, potassium chloride, manganese, iron, copper and zinc disodium ethylenediamine tetra acetate (EDTA).